Don't let your little fella get pinched on St. Patrick's Day! Arm them with custom green apparel to make sure those sneaky leprechauns stay far away! 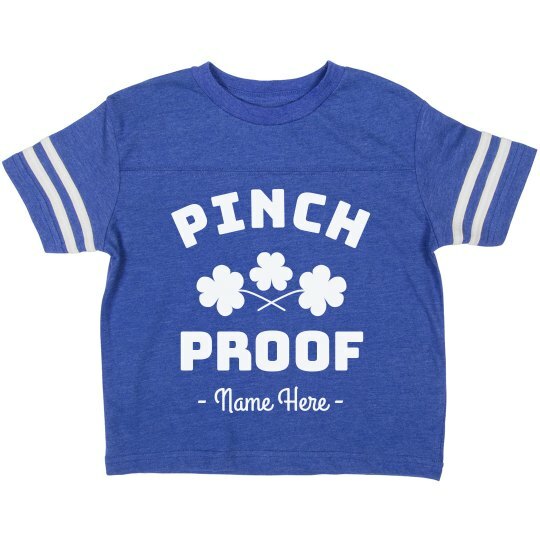 Personalize this fun St. Paddy's tee for your kid to wear as they join in on the festivities.